Description: This game is offered as a free Marketplace download for all regions. Box Text: Ready to save the universe from an Araxian invasion? Challenge them solo or recruit up to three friends for an all-out assault. Feeling lucky? Try it on Insane mode – the rewards are greater but the name is all too accurate. 02-25-2016 lugnut Description This game is offered as a free Marketplace download for all regions. 10-20-2011 scott Box Text Ready to save the universe from an Araxian invasion? Challenge them solo or recruit up to three friends for an all-out assault. Feeling lucky? Try it on Insane mode – the rewards are greater but the name is all too accurate. 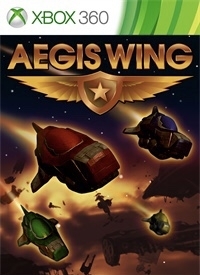 This is a list of VGCollect users who have Aegis Wing in their Collection. This is a list of VGCollect users who have Aegis Wing in their Sell List. This is a list of VGCollect users who have Aegis Wing in their Wish List.